In southeastern Virginia, Hampton Roads is an area that totes the proud honor of being America's First Region. It is here where a lot of history began before the colonists arrived from England, and thanks to Disney's Pocahontas (albeit a bit historically inaccurate), it's how most people might have heard of our little part of the country! For our friends who aren't local, geographically, we are surrounded by water and connected by land so that influences our weddings either by travel or by theme. 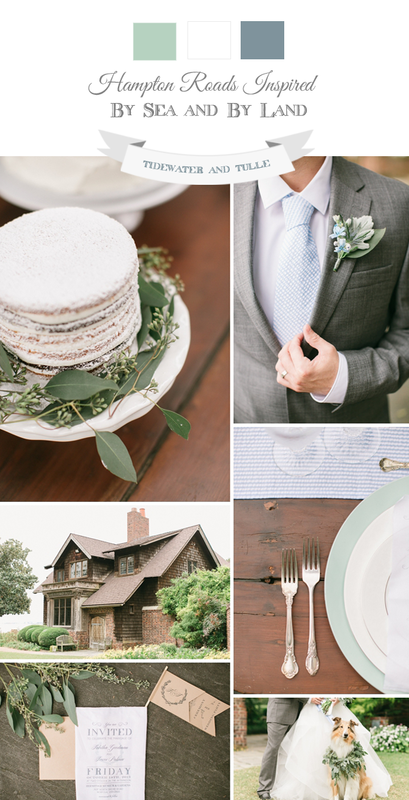 So for today's inspiration board, we're giving a bit of a nod to our brand launch shoot and to those favorite colors of dusty blue and grayed jade! 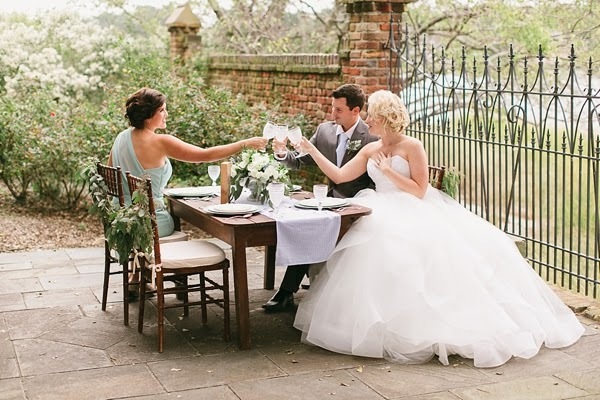 It is a visual of the "quintessential Hampton Roads wedding." When the water meets land, when earth of wood and the air of cotton join together.